Honestly I never knew this place until my wife told me about it, in fact my daughter also knew this place and she said their drinks are quite popular in the Instagram world. Where was I? One day the daughter had an event to attend and while waiting me and my wife had a chance to dine in here, it was quite packed during lunch but we managed to get some seats immediately. The place is small and if I can remember there were 10 – 12 tables in the premises, it was clean and staff is quite friendly. Immediately after sitting I asked wife what’s popular in their menu and she told me it was the drinks so we ordered some along with some other food items. For drinks my wife ordered the Strawberry Milkshake ($6.00) and I ordered the Iced Mocha Frappe ($8.00). If you’ve seen the photos online or even these ones that I posted, it tasted the way it looked, it was amazing and full of flavours. 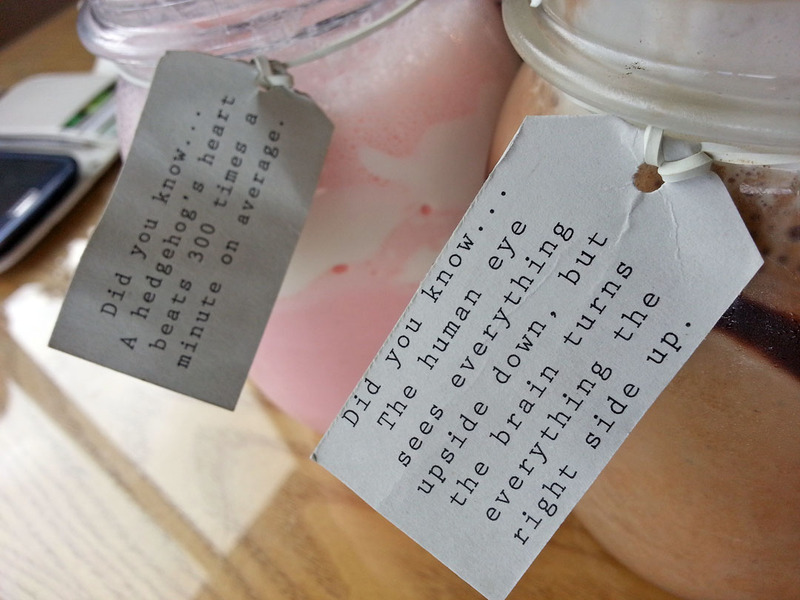 You will also notice on all of their drink there is these tags that contains interesting facts which I guess that’s why they are named like such. While we are having the drinks, we waited for the food and it was slow, very slow. I checked my EXIF data what time I took the photo of the drinks to the time I took the photo of our food, surprisingly the drink photo was first taken at 12:12 and the first food photo was taken at 12:38, this means we waited at least 26 minutes before the food arrived. 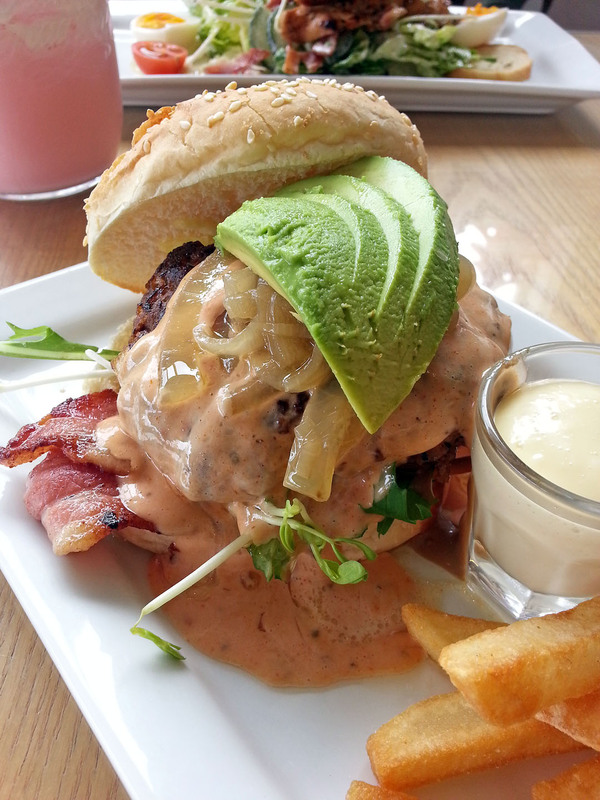 Then the food arrived and they look amazing, first was the Beef Burger ($17.00), it was made with homemade patties, bacon, lettuce, avocado, cheese, confit onion in a thousand island dressing. The burger was served with French fries with aioli dip. It was great, I love the mixture of flavours specially the confit onion and Thousand Island dressing, it was a great burger. 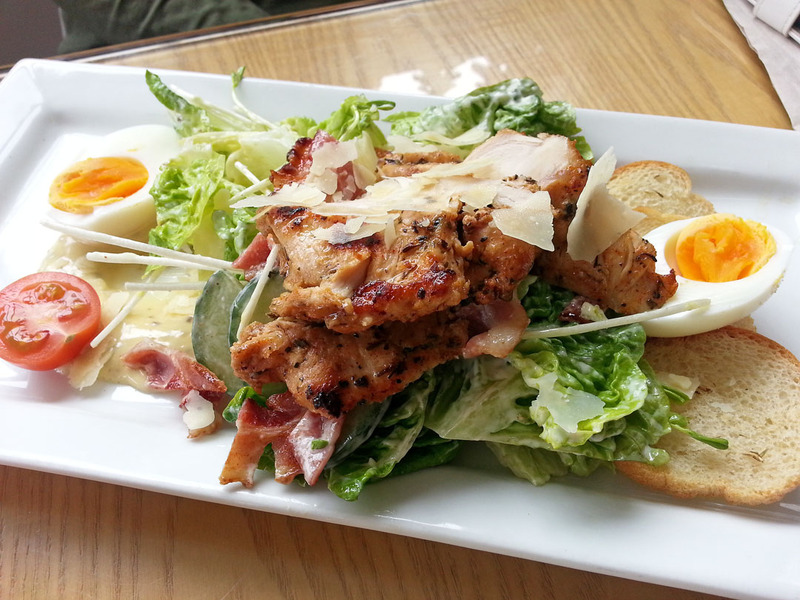 Then the Caesars Salad ($16.50), it was made out of grilled chicken, bacon, baby cos lettuce, boiled egg, herbed croutons, parmesan cheese and anchovy dressing. Again this never failed us, the chicken was moist and well-seasoned. 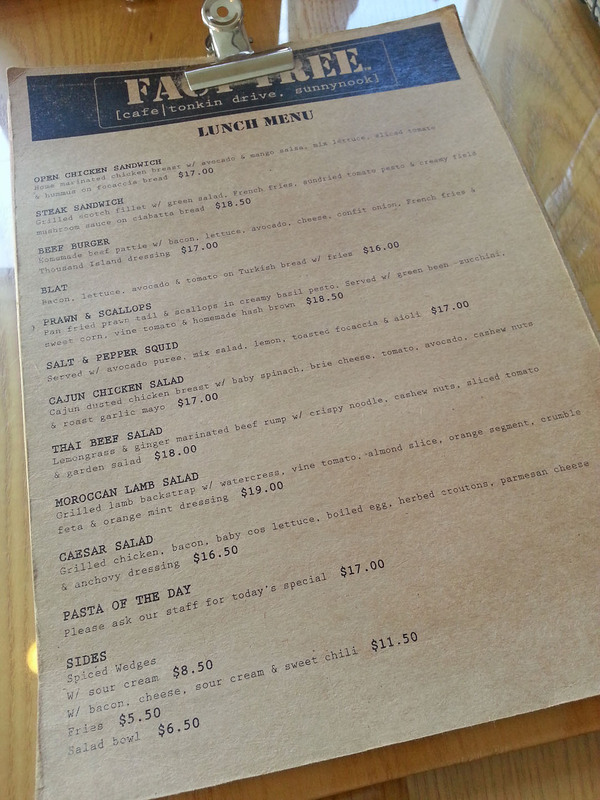 Overall the food was amazing, we had no issues at all. Serving size was enough and the place was clean. Apart from that long wait everything seems to be good with this place, I think I will sacrifice a bit of time for a good food rather than having it fast but does not taste great. If you haven’t heard about this weeks competition yet let me tell you that Ang Sarap and Tuttle Publishing is giving away 3 books which contains Little Vietnam plus your choice of 2 books (worth US$20.00 and below) from the Tuttle Publishing range. Competition is open for 2 weeks and we accept entries worldwide, just fill in your details on this competition page to join..
One thing for sure, lovin their generous portion!!!! That burger was worth the wait. Holy cow! That’s definitely a knife and fork burger but that’s okay with me. Even the salad looks great. 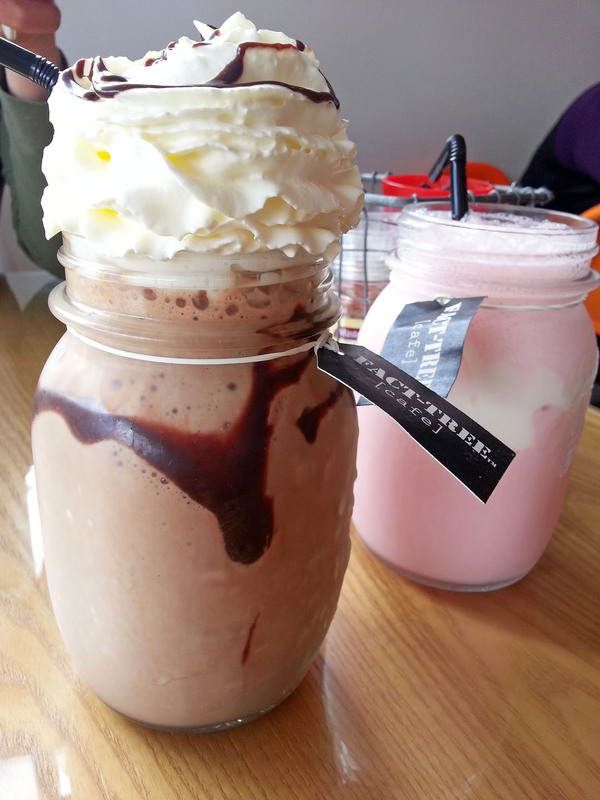 I love the mountain of whipped cream on the drinks. Food looks really really good! Holy molly! All the dishes and drinks shown here look amazing…and I bet they are outrageously delicious. 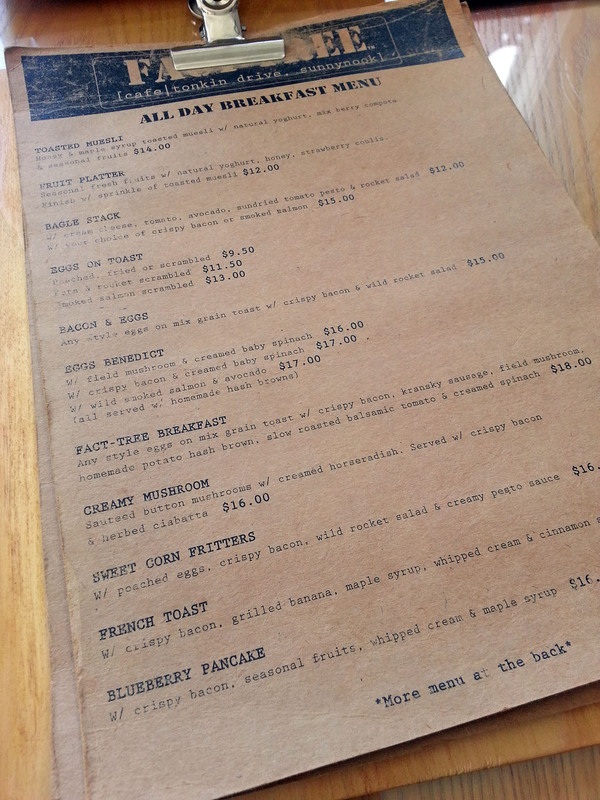 If I was in NZ, I’d be eating there today.